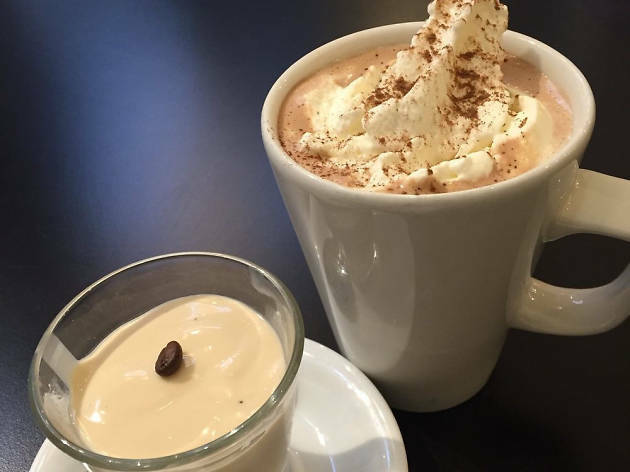 Whether you call it hot chocolate or drinking chocolate, there is no better treat when the temperatures drop. Some chocoholics like it thick and extra sweet, others prefer something more balanced and bitter. 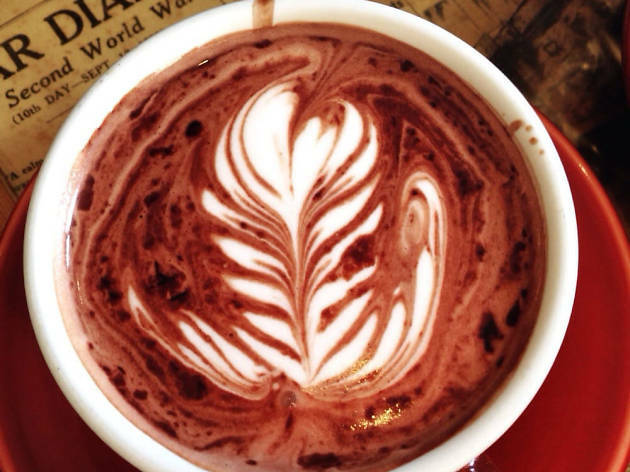 Either way, here are Boston’s most deliriously delicious hot chocolate options. These steaming cups of chocolatey goodness pair perfectly with a stroll in one of the best parks in Boston, or after taking in one of the best places to see art in Boston, or after a spin on the ice at one of the best skating rinks in Boston. 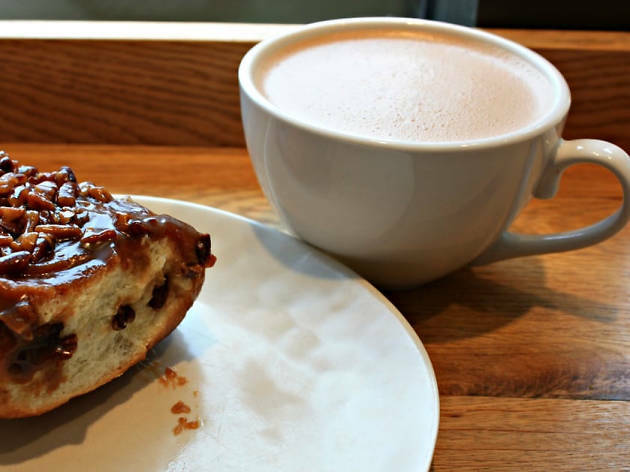 If hot chocolate doesn’t satisfy your sweet tooth, check out our guide to the best desserts in Boston. When it comes to all things cacao, this New Hampshire-based chocolatier is one of the biggest names in the Boston area, with chocolate cafés in Back Bay and Harvard Square. 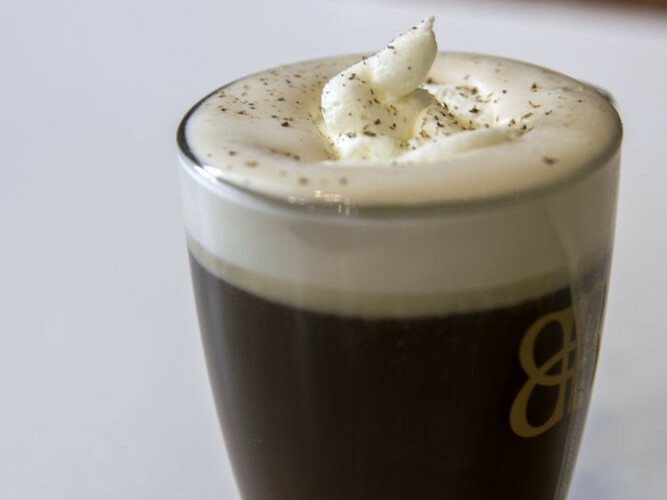 Old-school, European-style hot chocolate—or “drinking chocolate,” as Burdick bills it—is made with either Burdick’s dark, milk or white chocolate blends, or with single source varietals, e.g. robust mineral-flavored cacao from Grenada. This café chain is a dedicated chocolate boutique, a place where chocoholics try their favorite confections in any number of ways. 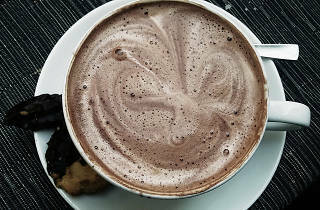 Hot chocolate is made with milk, dark or white chocolates, and also in recipes that include caramel finished with whipped cream and sea salt; an infusion of peanut butter; spiced with red chili; dark chocolate done gianduja style with hazelnut flavoring; or with Oreo cookies blended with white chocolate, vanilla cream and topped with Oreo crumbs. 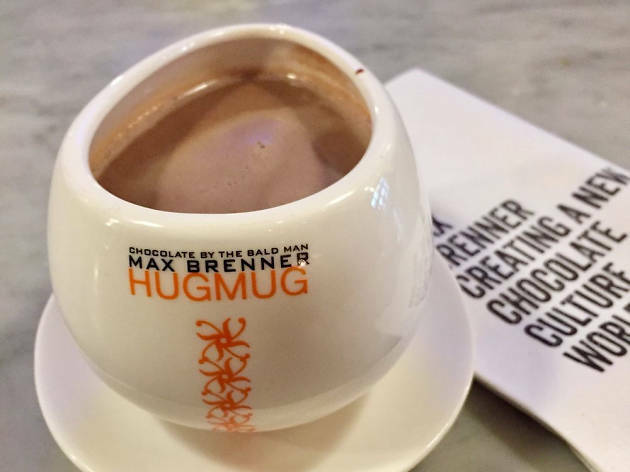 All are served in Max Brenner’s bespoke hug mug, which shaped to be held in both hands, and hugged. Japanese coffee chain’s first international branch gives downtown office workers a solid option for exquisitely crafted cups of coffee. (There are light sandwiches and Asian sweet treats.) Soothingly creamy hot chocolate is made with whole milk, heavy cream, and melted pungent Carupano dark chocolate; it’s topped with whipped cream and a sprinkle of cacao powder. There’s also a spicy version with a subtle chili kick. This Italian coffee shop is tucked inside Eataly Boston, on the ground floor level. Office workers and tourists nip in for an Italian-style hot chocolate. The super-velvety, drinkable concoction combines Lavazza’s own chocolate, made by sister company Eraclea. The high cocoa, milk chocolate medallions are melted into milk from High Lawn Farm in the Berkshires. Thinking Cup calls its hot chocolate French-style, which means it is made with melted chocolate—in this case, industry bigwig Valrhona’s Tainori, which has a fruity, yeasty flavor and 64% cocoa solid count (high for milk chocolate). 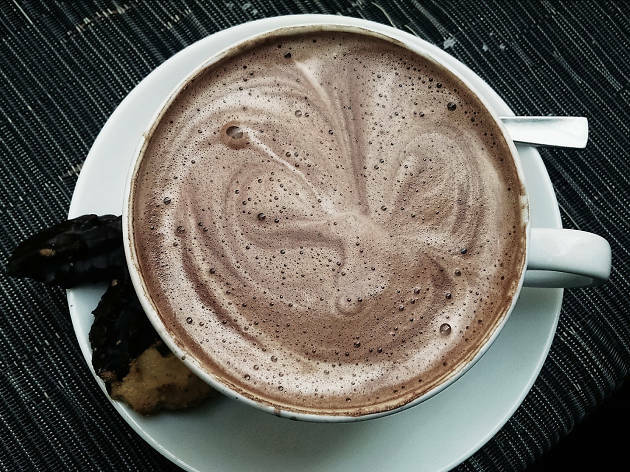 For hot chocolate fanatics, Met Back Bay’s annual, seasonal Hot Chocolate Experience is a must-do. 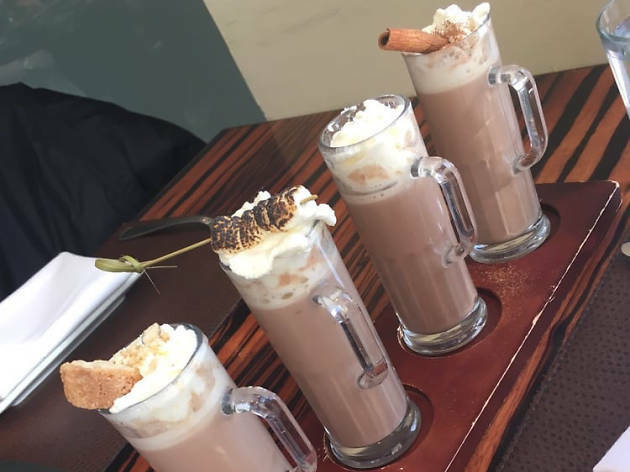 Though it varies year to year, the Newbury Street restaurant offers single, full-sized mugs or mini hot chocolate flights. Each is made with Somerville’s Taza chocolate and flavors might include the classic, which has vanilla chocolate, whipped cream, and toasted marshmallows; Mexican has Taza cinnamon chocolate and is topped with whipped cream, a cinnamon stick, and grated spicy guajillo chili chocolate; salted almond is made with salted almond chocolate, topped with whipped cream, and completed by an almond biscotti; and peppermint, featuring Taza cacao puro, peppermint, whipped cream, and a candy cane. 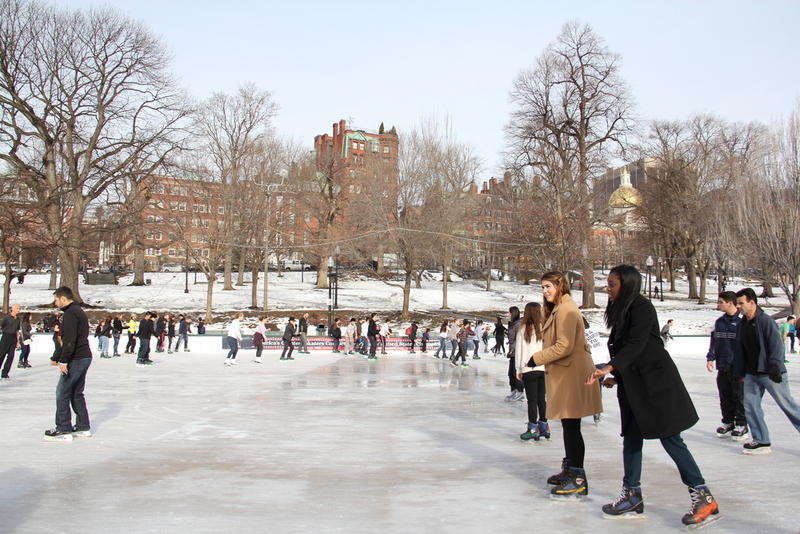 Can there be anything more gratifying than a steaming, cockle-warming cocoa after gliding about on the famous ice of Boston Common’s Frog Pond? 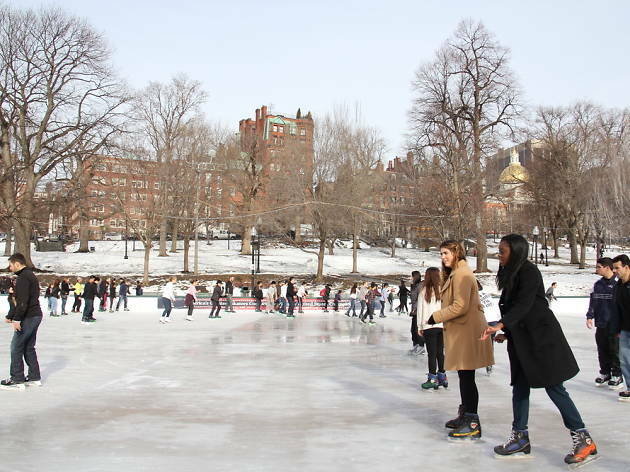 Or while enduring the lengthy line in peak season, when everyone wants to cram onto the tiny pond and make like a proper Bostonian? Even for those not about to skate, or queue, a wintry walk in the park is made perfect by a stop at the Frog Pond’s café bar for a memorable hot chocolate. 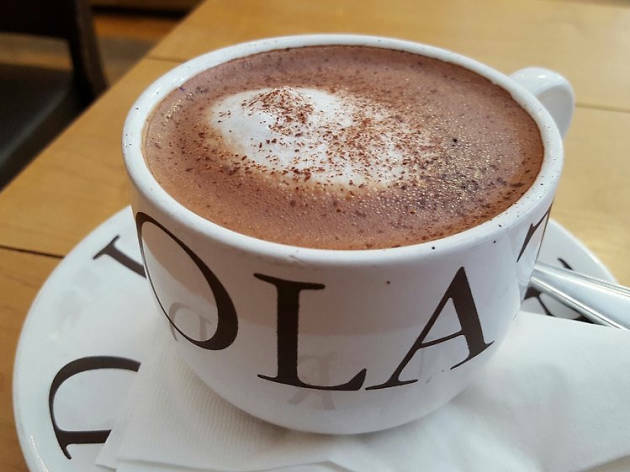 When temperatures dip, il Molo adds a seasonal hot chocolate that blends creamy whole milk with melted, rich chunks of chocolate, and is topped with whipped cream and chocolate shavings. For added warmth, order a spiked version with your favorite spirit or liqueur. The enjoyment is made all the more cozy if you snag a spot near the fireside seating. 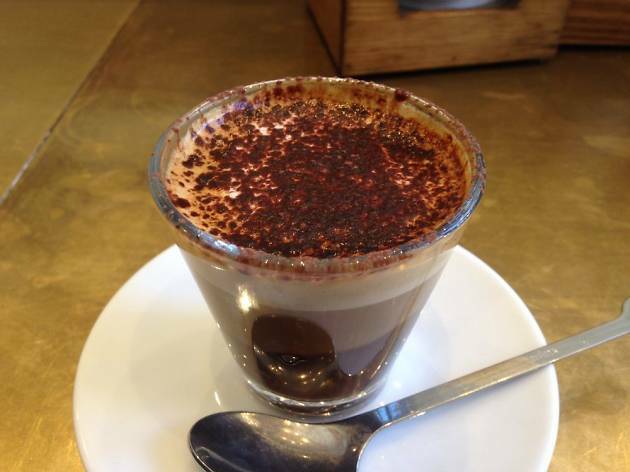 At Flour, James Beard Award-winning baker Joanne Chang spices up hot chocolate with chili and cayenne peppers. It makes a perfect pairing with one of the many light, flaky pastries on offer—perhaps a coconut cream tartlette or ginger molasses cookie. 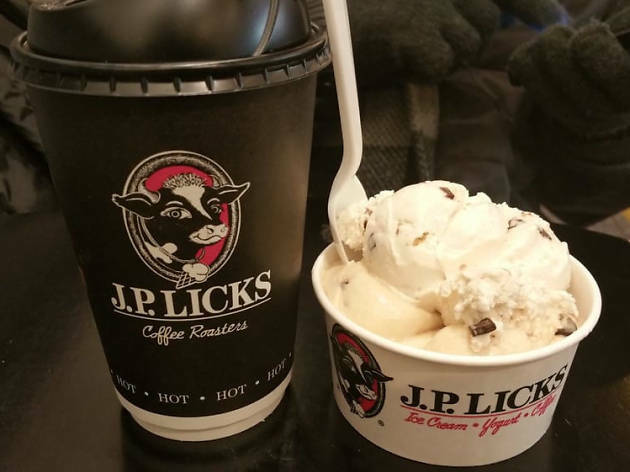 We all scream for J.P. Licks amazing ice cream, but this local creamery also has an astute espresso bar menu with organic, fair trade coffees, and cuddly cups of hot chocolate. Choose either a creamy, silky milk chocolate version, or the dreamy white chocolate concoction. Mining all things Bostonian, Wahlburgers adds another local icon, this one culinary, to its roster: Fluff. This sticky-sweet, Somerville-invented goo tops off the burger joint’s hot cocoa, adding a think, creamy layer to the steamy, chocolate-y liquid below. 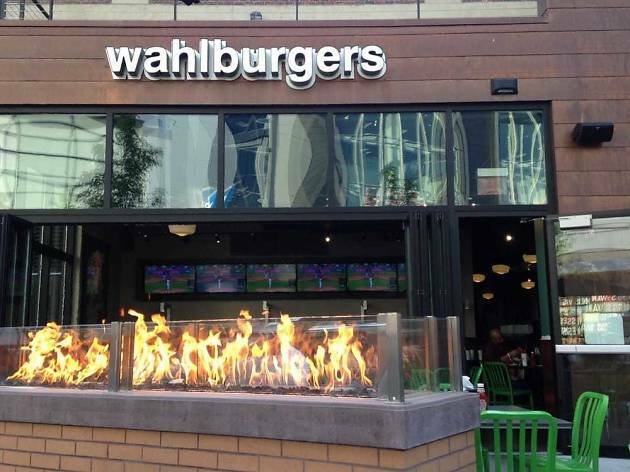 Try Wahlburgers hot chocolate at its Fenway location and have the added romantic benefit of the outdoor patio and fire pits. Order it spiked and you won’t care about the cold or the Fenway crowds.